The top of the search list of the best search engines is invaluable marketing space, where every company wants to be. The best search engines do not sell this space; yet one can get there by optimising the web presence in all its versatility, from social significance via content quality to relevancy of local searches. Search engines are constantly improving their search algorithms, making SEO an ever-changing skill. Creating a reliable SEO strategy requires thorough understanding of search engine optimisation and the plethora of modern social interaction channels and networks. Search Engine Optimisation or SEO is a process to gain top ranking results in a search engines unpaid search. 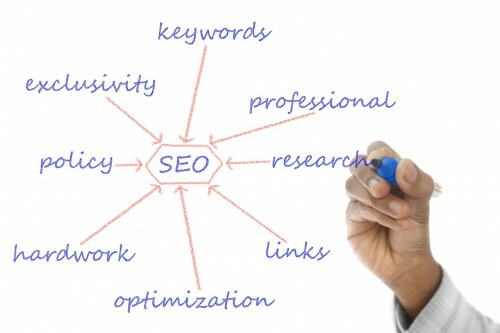 This type of optimisation is also commonly known as organic or natural SEO. In general the higher you are in the search results for a keyword the more clicks or visits you are going to get through that type of search. Ranking on the first page of Google results will bring you many customers without a requirement of large sales teams. AltaOnix is a very successful UK SEO agency that will fit the solution to your needs. Our innovative research and optimisation techniques will ensure the best effect of every click. Our reporting mechanisms will make you aware of the most profitable sectors of your entire web presence, including both desktop and mobile searches. Your site will get what it needs to get to the top, expertly tailored to your demands and circumstances. SEO is offered by many companies, and selecting the SEO provider is quite a challenge. We cannot guarantee first page results after one month but we can guarantee steady improvements that will bring you to the top of the search results. Our clients can benefit from some of our methods that bring guaranteed results. Contact us, and we will be happy to discuss the best and most reliable options for you. If you are interested in what we have to offer give us a call or send us an email. You can have a look at the packages that we offer here. We offer a complete Internet Marketing solutions as well, if you are interested you can read about them here.